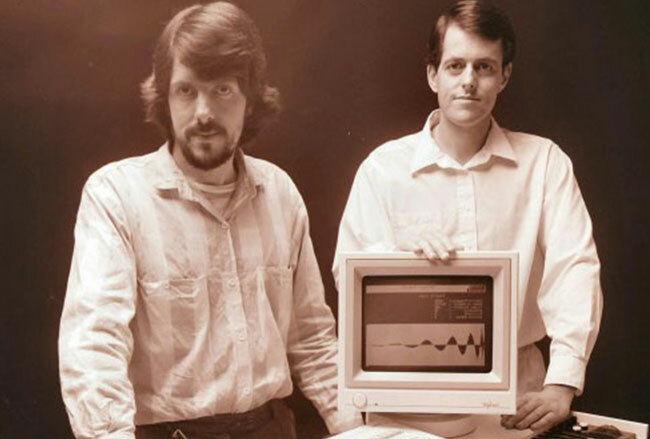 In 1975, Australians Peter Vogel and Kim Ryrie began working on one of the first designs for a digital synthesizer, based on the (then state-of-the-art) 8-bit Motorola 6800 microprocessor. They named the company Fairlight after a Sydney harbor hydrofoil ferry. Shortly thereafter they met Tony Furse, who was already building a digital synth for the Canberra School of Music using two 6800s and 64K of RAM. Run in parallel, the processors could synthesize a waveform that was then stored in a whopping 4K of shared memory reserved for it. Vogel and Ryrie licensed the design, and set out to improve it over the next few years. Vogel got the notion to simply digitize the sound of a real instrument into the Fairlight system. After rigging up an analog-to-digital converter (ADC), he infamously hooked up the only sound source he had—a record player—and recorded less that one second of a piano into digital memory. What came back out was a reasonable semblance of a piano. As a byproduct, playing that sample across the keyboard yielded novel timbres like those realized by changing tape playback speeds. Digital sampling was born. 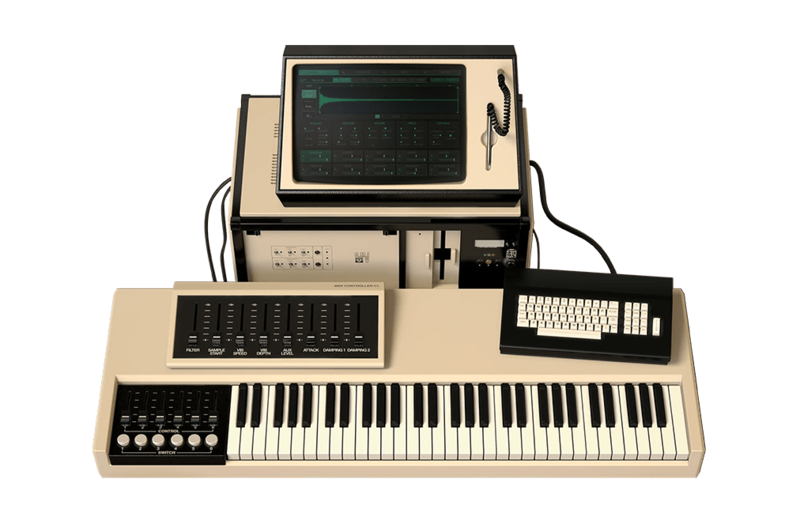 After a massive hardware overhaul for more efficient component use and incorporating newly available 16K DRAM, Fairlight launched the first CMI (Computer Musical Instrument) in 1979. In addition to representing the world premiere of sampling, it also featured something else that was then tantamount to sci-fi—the ability to draw envelopes for each of a waveform’s 64 harmonics on a screen using a light pen. It could also display the Fourier transforms in 3D. It was further distinguished by a QWERTY keyboard, a large CPU box, and the deliberate choice of white cabinetry. 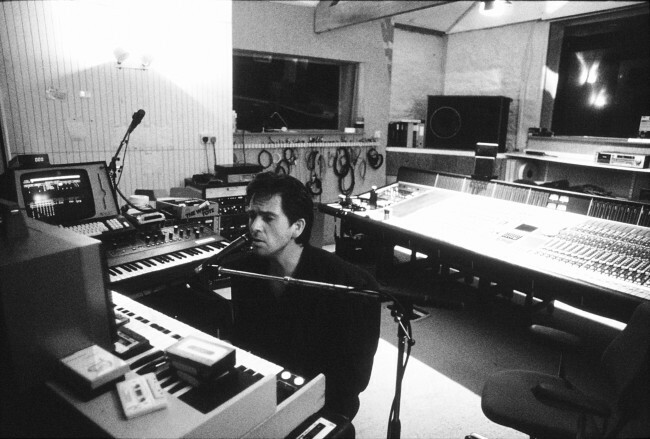 During Vogel’s 1979 UK visit with the prototype, Peter Gabriel was so enthralled that he used it on his eponymous third album right on the spot, and also co-founded a company to become Fairlight’s UK distributor. Released several months later, colleague Kate Bush’s “Never for Ever” has the distinction of being the first LP to feature a commercial CMI. In the US, major LA studio The Village Recorder purchased the first unit in the US. The next half decade featured the revolutionary instrument in the hands of numerous luminary pop/rock artists and producers dominating the airwaves of the day. The first CMIs started at USD 25,000 / ~£18,000 in 1979 money—leaving most musicians salivating. Even then, those first units could only play eight monophonic voices. If you wanted to play a chord, you had load the same sound on multiple voice cards. Moreover, frequency response topped out at a mere 10kHz—less if you wanted samples longer than one second. The 1982 release of the even more expensive Series II improved things dramatically with channel designs that allowed for easier polyphony, 16kHz frequency response, and the breakthrough Page R sequencer. 1984 saw the improved Series IIx—which we’ve modeled in the CMI V—that brought the newly minted MIDI spec to the instrument. The CMI V workstation lets you work with multiple instruments and sound generation technologies at the same time. With the CMI V, you have up to 10 instrument slots to work with in parallel for layering, splitting and multitracking. Each can be saved and recalled independently, in addition to being parts of full presets. Each can also use one of three sound engines—the original sampler and additive synthesis modes, plus a new Spectral Synth we’ve brought to the party. The Sampler section is the heart of what put the CMI on the musical map and where most of the action happened on all those ‘80s recordings. You’ll recognize now-standard waveform display, including the ability to drag start time and length for both samples and loop points. You can even visualize the waveform in 3D. Tuning, envelope, filter and vibrato settings are also available to further shape your sound and performance. In addition to the onboard instrument library, the Sampler lets you load one of your own sample files for additional processing and performance options. You can instantly vary the playback sample rates of any samples from the digital dirt of 2.1k all the way up to 44.1k for modern CD quality, usually discovering interesting side effects along the way. We’ve also extended the original paltry sample length by a mile—up to 30 seconds long for evolving instruments and soundscapes. 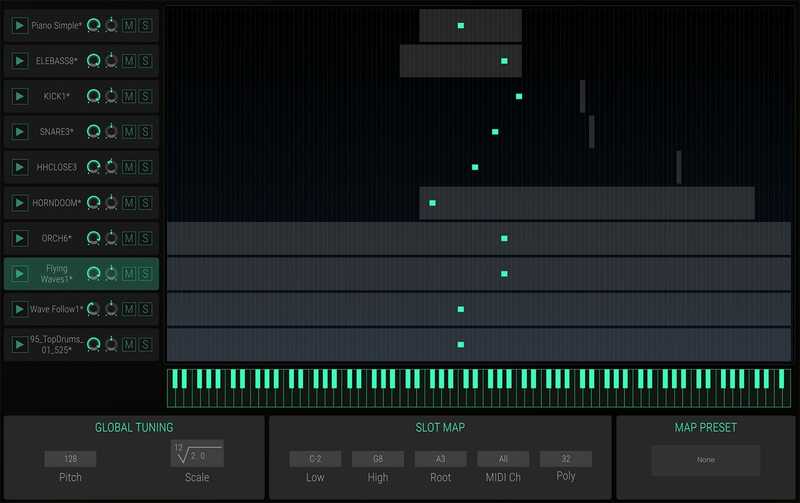 Time Synth mode puts a powerful additive synthesis engine at your disposal. Determine how your sound animates by dragging multiple breakpoints on the independent envelopes for each of 32 harmonics. A real-time oscilloscope helps you visualize your work. We’ve augmented the original simple sine waves for harmonics, allowing you to easily experiment with additional simple waveforms or more harmonically complex wavetables as the source for each harmonic—opening up a ton of creative possibilities. You can start from scratch, modify a preset, or work with a sample you’ve converted from the Sampler page. Our new addition of Spectral Synth mode gives you a different take on additive synthesis. Rather than setting the individual harmonics, you affect an overall distribution curve of harmonics with controls including Center, Spread, Bias and Fundamental Boost. Modulating these parameters with functions and controllers provides another great way to add motion and energy to your sound designs. As with the Time Synth, you can select different waveshapes in order to pioneer sounds beyond those based on simple sines. All totalled, Spectal Synth mode gives you an easier way to tame additive synthesis that also produces different new sonic results. The CMI V features the original Fast Fourier Transform (FFT) function that gives you the power to analyze a sample and convert it to a harmonic profile to further manipulate using all the unique harmonic controls only available to you in Time Synth mode. Our faithful modeling of this functionality means that, like the original, you get some unpredictable artifacts during the conversion process that can be musically useful themselves. You also have the option of converting your additive synth work into a sample in order to employ the Sampler’s display and controls in further defining your sound. CMI V merges the worlds of sampling and additive synthesis to give you the power to design new sounds that are uniquely yours. The CMI V adds contemporary modulation sources and routings to inspire new sounds that were once only dreams. We’ve smashed through the limited modulation capabilities of the original instrument. The CMI V’s new Assign tab lets you map control and modulation sources to just about any system parameter. Simply click the Map button above the desired source, click/drag the parameter you want to control in the lower panel to the desired offset amount, and click the Map button again to commit. Want to control sample start time with the keyboard? Done. Trigger a crazy pitch warble on every note using a sick envelope. Bring it! Going further, you can map a single control or modulation source to multiple parameters simultaneously or vice versa. Hovering over a Map button illuminates all associated targets for easy visualization of assignments. You’ll love the creative options this added flexibility brings to your programming adventures. Each instrument has its own six independent Functions you can set up as envelopes, LFOs, and tracking curves, ready to map to a plethora of destinations on the Assign tab. You can click and drag numerous breakpoints, drag the curvature of each segment for very detailed control, and even specify randomization ranges for each point. In Time mode, the Loop switch causes a Function to repeat for use as an addition LFO—anything from a simple ramp or trill to the exotically complex. Other options are provided for detailed control over how a Function retriggers and runs, plus the ability to sync it to multiples or divisions of your DAW tempo to add exciting animation to whatever parameters you choose. In Control mode, the position along your Function curve is determined by the current value of a controller you associate with it, rather than by time. For example, if your Function is controlling envelope damping and being controlled by the keyboard, you could draw your Function so there’s more or less damping as you play up and down the keys. While we’ve worked long hours to bring you new modulation functionality, all of the CMI IIx originals like the Vibrato section are still in place. We’ve upped the complement of assignable left-hand controllers to six sliders and six switches that are now available in the Assign and Functions tabs. You now also have a convenient dedicated set of front panel performance sliders for instant access to common sonic parameters like filter, attack, damping, sample start, and more. MIDI is well in hand with the ability to map standard controllers like velocity, mod wheel, aftertouch, and others, to just about any parameters you can imagine for intimate performance control. Of course, with our standard MIDI Learn capabilities, the sky’s the limit for controller mapping. Assignable Functions and other modulation options bring a whole new level of sound design and performance control to your work. 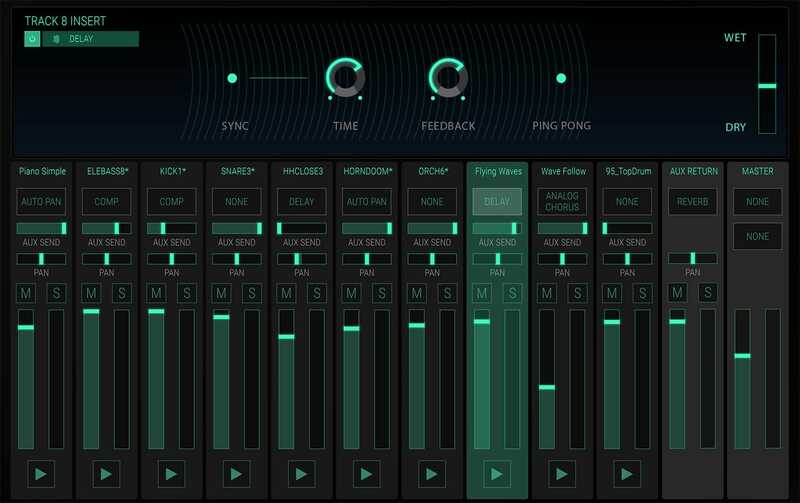 Everything you need from sequencing to mixing to alternate tuning is included in the CMI V.
CMI V lovingly brings back the Page R sequencer, the first commercially available screen-based pattern sequencer. Its quantized, pattern-based workstation implementation changed both the way music sounded and was composed—including further opening up production to talented creatives regardless of their musical motor skills. Page R is crude by today’s standards, yet we’ve included it as part of our commitment to completely faithful reproductions. 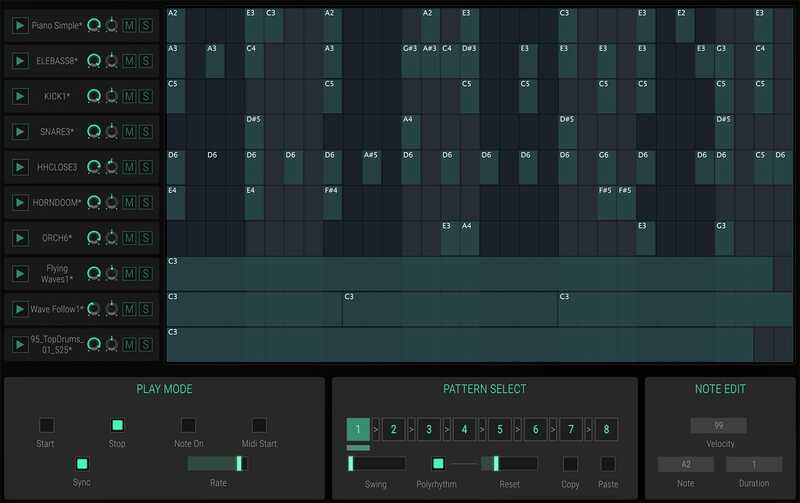 We’ve given the pattern grid a modern makeover, allowed real-time transposition, added two more tracks, implemented polyrhythm mode with variable track lengths, incorporated swing, and more. One can never have too many sequencers, right? With all this multi-timbral workstation power, you’ll appreciate an intuitive mixer. The Mixer page gives you all the control you’d expect in managing and balancing the CMI V’s 10 instrument channels in stereo, including an aux bus and master. You’ll also find 13 inspiring studio-quality effects to extend your sound designs right on board—all your workhorse favorites plus more exotics like Leslie rotating speaker and the bit-smashing Destroy. You can route one effect per instrument, one on the aux return, and two on the master. It’s easy to set up things like a variable amount of aux bus reverb feed from each instrument, plus apply overall compression and limiting on the master. The Tune/Map page lets you specify the root note, range, MIDI response channel, and polyphony for each individual instrument slot—indispensable in setting up splits and layers for more complex performance, instrument stacking options, or DAW assignments. This page also has you covered when it’s time for outside-the-box sound design or microtonal music, because you can also control global temperament to the extreme. The CMI delivers all the inspiring creative tools found in the original digital workstation—and more. Now you finally get to harness the all the power of a digital workstation that many musicians lusted after, but few could afford. 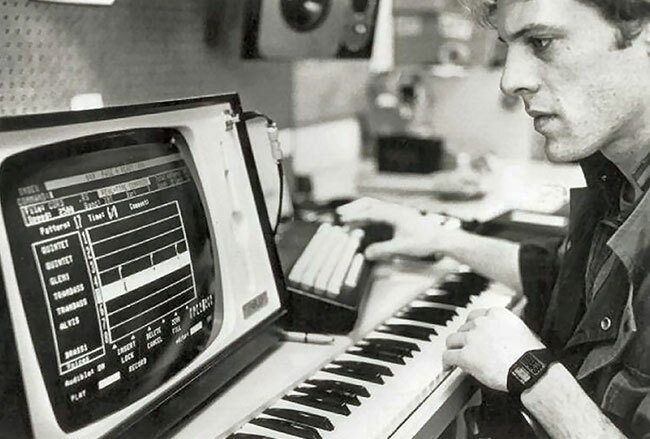 The CMI’s revolutionary sounds and sequencer helped define the synth-pop era—an essential tool for all-star artists including Stevie Wonder, Jan Hammer, Peter Gabriel, Duran Duran, Todd Rundgren, Howard Jones, Art of Noise, Thomas Dolby, Kate Bush, Pet Shop Boys, Jean Michel Jarre, Alan Parsons Project, and too many more to mention. A team of top CMI programmers has burnt the midnight oil to inspire you with the original signature sounds, plus a boatload of new timbres only made possible through our feature enhancements—approximately 300 in all. You can use this extensive library to start making music immediately, as well as the foundation for exploring your own creations using the system’s confluence of sampling and additive synthesis goodness. Whether sampled, synthesized, or a mix of both, there’s no limit to the tone, flavor, and feeling you can create with keyboard sounds in CMI V.
Craft pads down to the finest, most precise detail to perfectly accompany and enhance your tracks. CMI V gives you all the tools you need for ultimate sound control. The perfect sampling-synth to recreate the iconic sounds of the past, and the obvious choice to create the sounds that will define the future of music. The only limit is your imagination. With the enhanced CMI V, you can time-travel into the musical past—and make your mark creating the music of the future. Our redesigned preset browser lets you quickly find just the sound you’re looking for. Search by name or simply select the appropriate tags to dial in on the exact sonic character you’re looking for. You can mark and recall your own favorites, enter comments, and set up playlists. 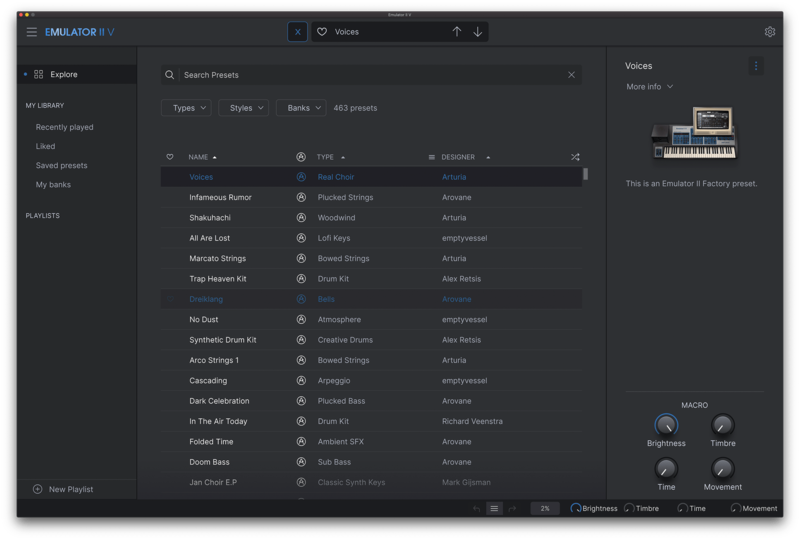 There’s never been a more intuitive way to manage your library of designer and personal presets. The user interfaces for all your Arturia instruments are now resizable, making it easy to work with any High Resolution screen, UHD or Retina. You can decide whether you want to fill the screen with awesome graphic reproductions of classic instrument goodness, scale the window down when you’re working in a DAW and screen real estate is at a premium, or even zoom for detailed work.